You don’t see much of me in these photos, but here’s one! We hit the pool one last time before we had to check out of the hotel room by 11am. 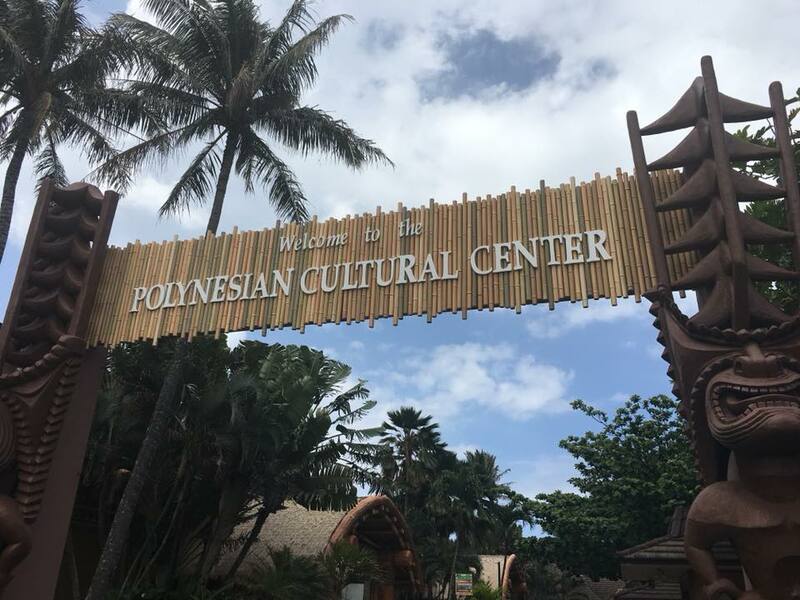 We enjoyed lunch at L&L Hawaiian, then on a whim we decided to drive up to Laie, the town in the northeast with the Polynesian Cultural Center. The drive there from Honolulu is very pretty, with several stretches that literally hug the ocean. 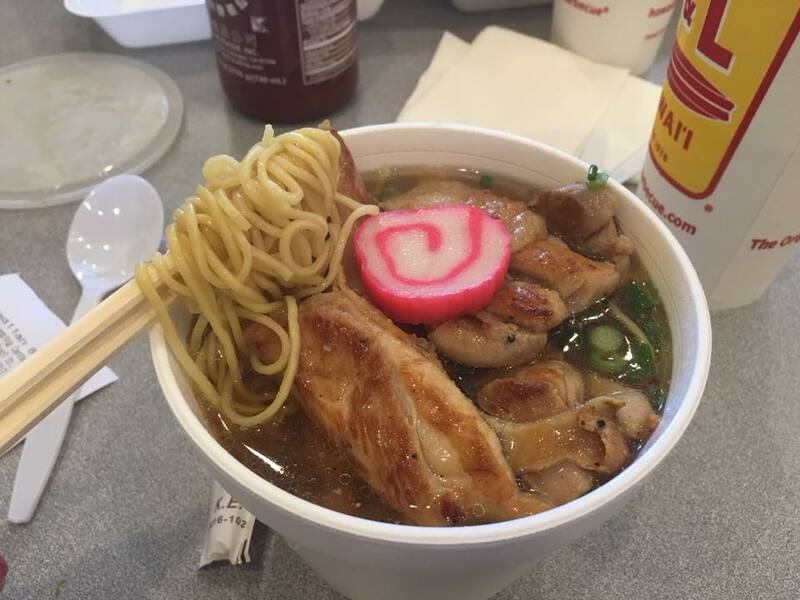 My chicken saimin lunch at L&L Hawaiian in Honolulu. 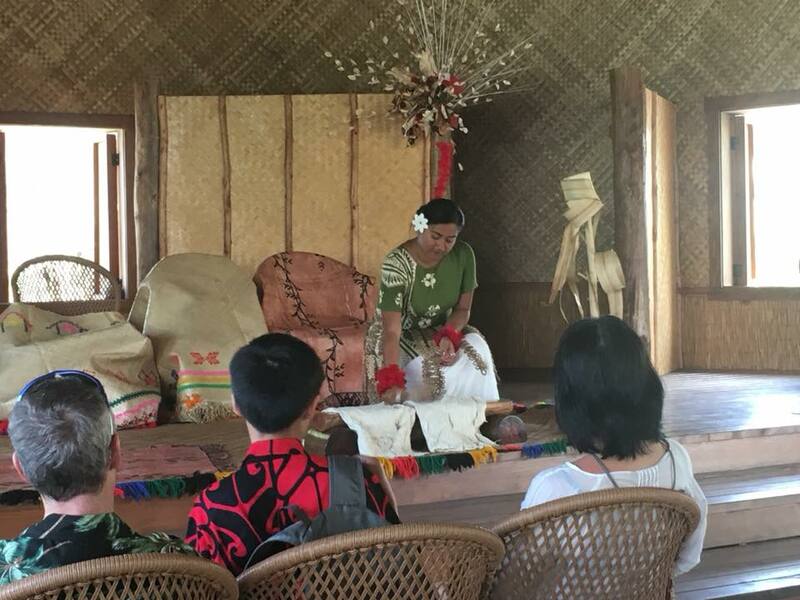 There is a lot to do at the Polynesian Cultural Center that doesn’t require an admission fee. The fee covers the island demonstration areas further back in the park, and we learned about a “Wiki Wiki” rate that worked well for us since we only planned to spend about 2 hours there. 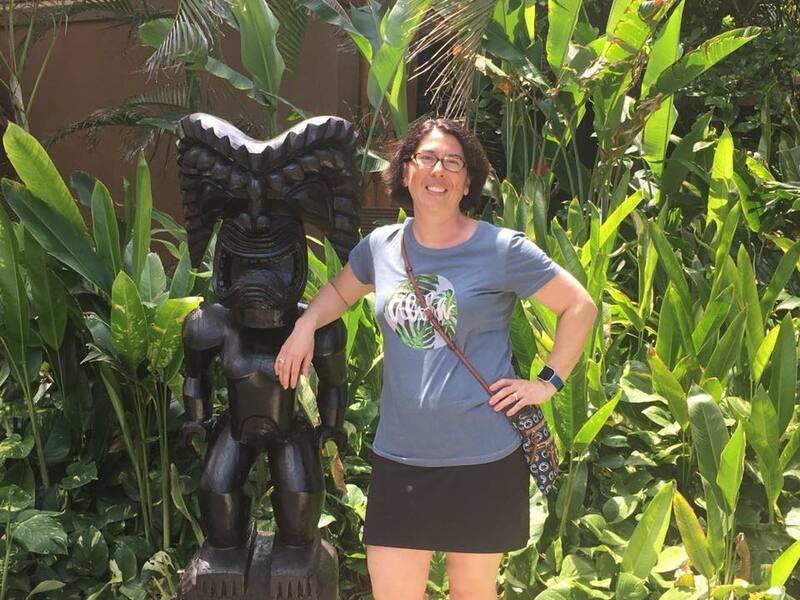 Short on time at the Polynesian Cultural Center? Ask for the Wiki-wiki Admission! Short On Time? Ask About the “Wiki Wiki” Ticket Option! 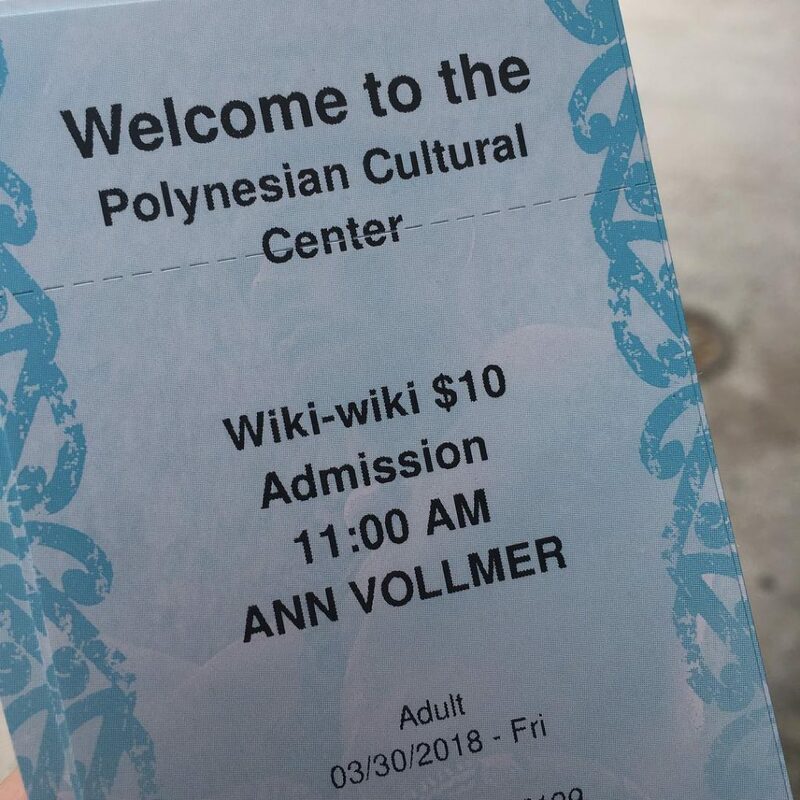 Most information one will find about the PCC will involve full-day packages that include the island tours, the 4pm luau, and the Ha: Breath of Life show. Our family wasn’t interested in something that tethered us to one attraction for the day, so at first we weren’t even planning to visit the PCC. Lo and behold, the Wiki Wiki option does exist but they will hold an ID of some sort as collateral. It’s clear that Wiki Wiki isn’t their preferred way to visit the park: there is quite a bit to see and we had to be careful about what we visited during the limited timeline. We got our 1-hour ticket at about 1:30pm, but the ticket attendant said “You can stay till 3pm” and she wrote that on our tickets. We were able to be in the “islands” part of the park during the canoe pageant. It was fun to watch the dancing and hear the music, but since our family had experienced the amazing Hale Koa luau just a couple evenings prior, seeing the PCC’s version felt much less exciting. The PCC’s costumes and dancing styles are less authentic (due to modesty considerations), and you won’t see any of the traditional Polynesian tattoos on their dancers. One of the observations about our experience in the park was this seemingly controlled timeline. I know there are many tourists who prefer and enjoy that setting, but our family is definitely more free-spirited. When we walked into the islands area, they were just wrapping up the demonstrations at the individual island exhibits, trying to get all the guests lined up along the river for the canoe pageant. So there wasn’t anyone around to show us demonstrations, even though that’s what our family would have preferred to sitting waiting for the canoe pageant. We didn’t eat at any of the formal dining settings so we can’t speak to that, but we did enjoy the baked goods at Pounder’s. Our family was very happy we didn’t book one of the day-long tours, we’d have lost our minds having to stay the whole day with such a controlled environment. We later realized that the Kualoa Ranch up the road would have been more our style and we wished we had stopped there instead. This is the entrance to the “ticketed” area of the Polynesian Cultural Center. There’s plenty to see, do, and eat in the non-ticketed area. There are seven “islands” you can visit to learn about the differing Polynesian traditions. Here we’re watching a textiles demonstration. 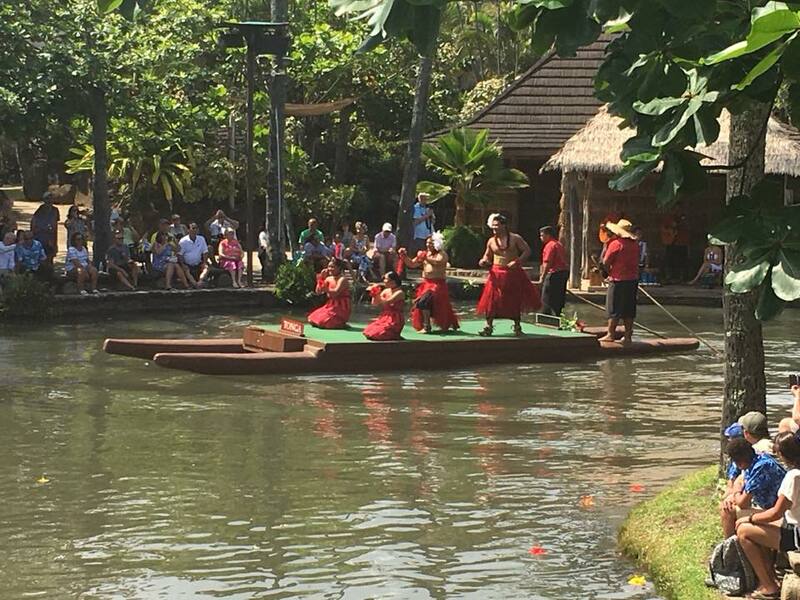 At about 2:30pm there’s a canoe regatta featuring each of the islands’ dances. This is the Hawaiian Islands canoe. We drove back to the Hale Koa, turned in the rental car, picked up some souvenirs, and Ubered to the airport for our red eye flight home. Farewell Hawaii! Hopefully we can make it again someday. We want to visit the “Big Island” next, and show the boys (and Dave) Hawaii Volcanoes National Park.